“Dada, Why did the Vimana fly South West from Panchvati and after touching the sea shore again turned towards inland and went down South?” Lakshman enquired with a baffled expression. Rama’s eyebrows were knitted closely. It was hot and humid here and they were both sweating from using their top speed while chasing the emission of Ravana’s Vimana. “He changed his mind,” Rama spoke, still looking down from the hillock over the Arabian Sea. “He flew outward towards the sea from Panchvati and initially thought of taking the Vimana deep into the sea so that we don’t get a clue about his direction but over this hillock his Vimana hovered for sometime and he changed his mind….Ravana wants us to chase him” Rama spoke these words with a scowl directed towards the South of the vast Arabian Sea. He had a determined look. Rama suddenly felt thirsty. The Prince of Ayodhya had come so close to the sea after many years and it was humid around here. He looked for some sweet water to drink, but the vast ocean couldn’t offer a drop of potable water. Lakshman closed his eyes and scanned the hillock. The sea was full of saline water and there was no water table nearby. He focused deeper into the rocky hill and concentrated at a spot. He smiled happily and opened his eyes!! Lakshman ran towards a depression over the hillock and aimed at a speck with his arrow, scanning again with closed eyes. “Yes that’s the fragile spot!” Lakshman uttered and aimed his arrow at the targeted patch and pulled the laser string of his already glowing electric blue bow and again closed his eyes. Rama was watching his younger brother from under a banyan tree on the rocky hill. Lakshman was about six feet up in air levitating and was still rising up. And then he opened his eyes and took a shot!! The arrow drilled through the rock and disappeared into the earth. Lakshman slowly circled around the spot for a few seconds above the ground and slowly landed on the rocky surface. There was a rumbling sound below the rock-strewn hillock and the earth suddenly shook, cracking a large rock laterally up to few metres. Then suddenly there was jet spray of fresh water gushing out from below. Lakshman looked at his elder brother with a sense of achievement. Rama nodded and walked towards the crisp water which sprang out to quench his thirst and drank the sweet water which tasted like the water from Ganges. “You have created Ganga with your arrow…” Rama looked up and spoke to Lakshman. On a normal day Rama would have embraced his younger brother for this wonderful feat. Today he was heart broken!!! Lakshman used the Sashtra bestowed by his Guru Vishwamitra to scan with closed eyes and search which was hidden and hit the target with ease. The arrow hit the spring deep down under a very hard and rocky surface and channeled out for ever!! 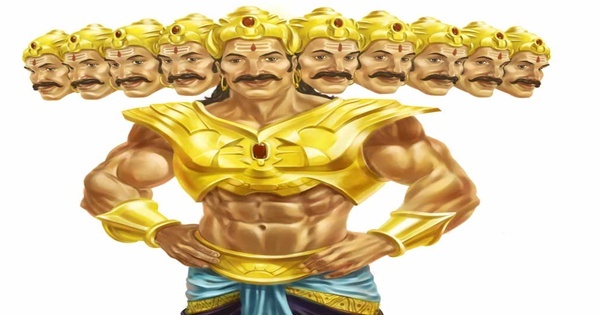 Lakshman wondered why Rama was not shooting a missile on the direction of Ravana and bring him down instantly!! He had so many Sashtras and Asthras in his possession. He was so powerful and had always excelled at tutelage under both Guru Vasishta and Guru Vishwamitra. Yet Rama behaved so human!! He never understood his brother. Rama again drank some sweet water and took a bath on the ever flowing torrent, just invigorated from Lakshman’s arrow. 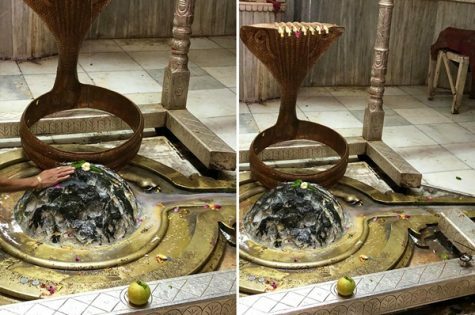 He then closed his eyes in search of the hidden Shiva Linga which was kept secretly for the seventh Avatar of Vishnu to worship on this small hillock. He placed some sand from the rocky beach over a particular spot giving it a shape, at the top of the hillock close to the fresh water source and used another Shashtra. Rama closed his eyes and silently decoded a complex Hymn. The sand mound instantly turned red, caught fire and steadily cooled into an igneous rock. The Linga appeared as Walkeshwar Shiva. 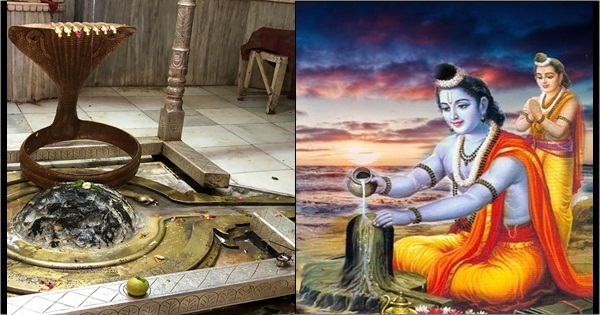 Rama worshiped his first hand made Shiva Linga made of sand to begin his quest to defeat Ravana and bring back his wife Sita!! All these happened and began in Mumbai!!! 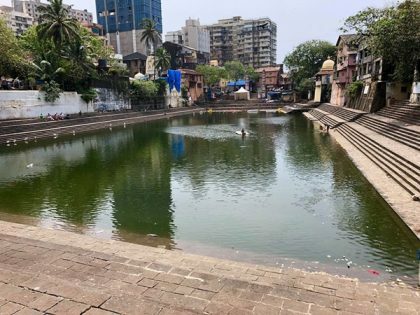 The everlasting spring water still flows at Ban Ganga on a large water tank later constructed during the Silhara dynasty by Minister LAKSHMAN Prabhu around 1127 AD and the hand made Shiva Linga still exists at Walkeshwar. The temple was completely destroyed by the Portuguese and later reconstructed by a businessman called RAMA Kamath in 1715 AD. The names are just a coincidence!! Mumbai – a less known religious metropolitan!!! Did you visit Walkeshwar yet? ?